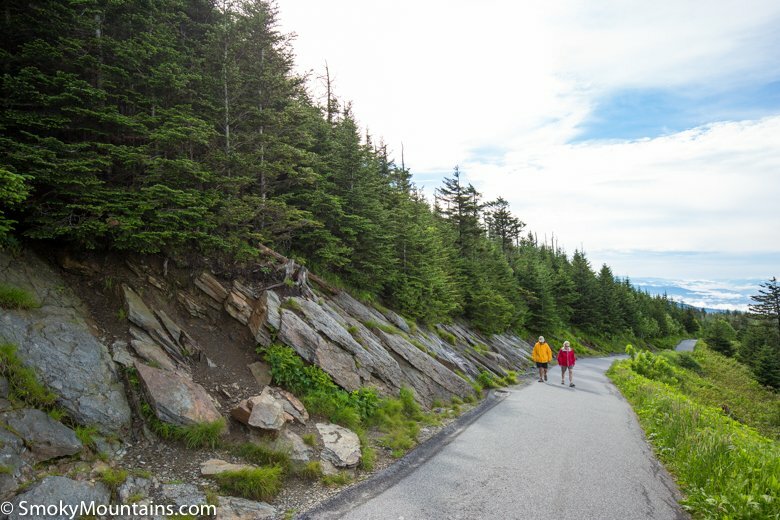 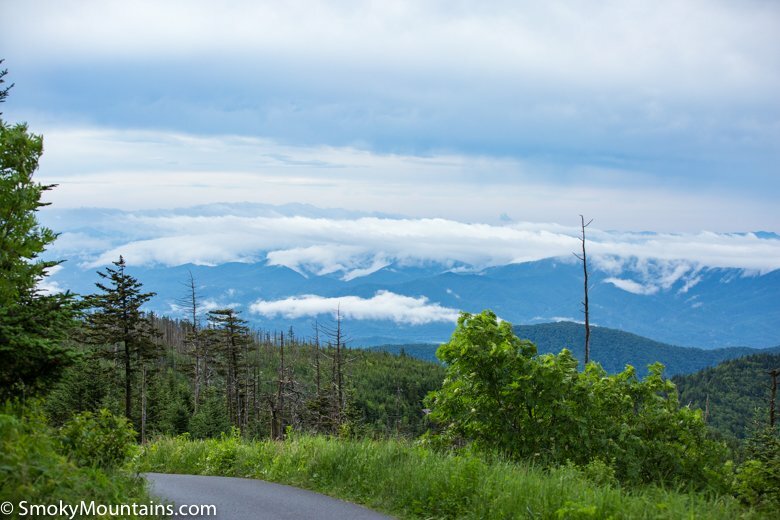 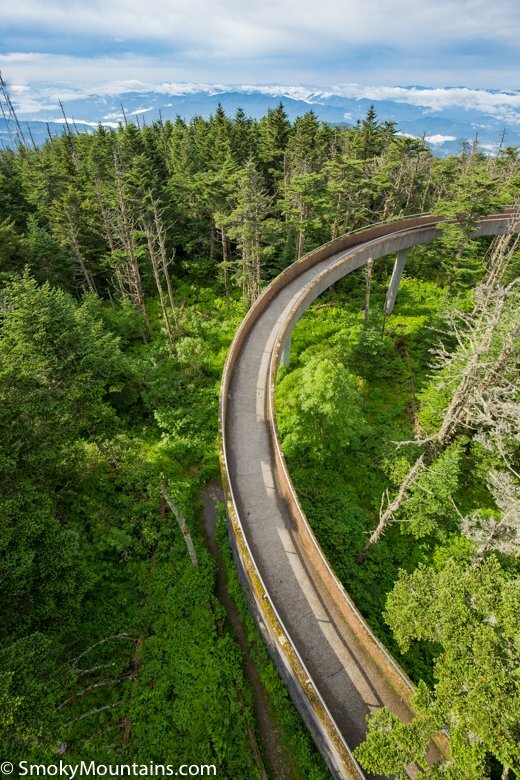 The Clingmans Dome hike is fully-paved and only half a mile. 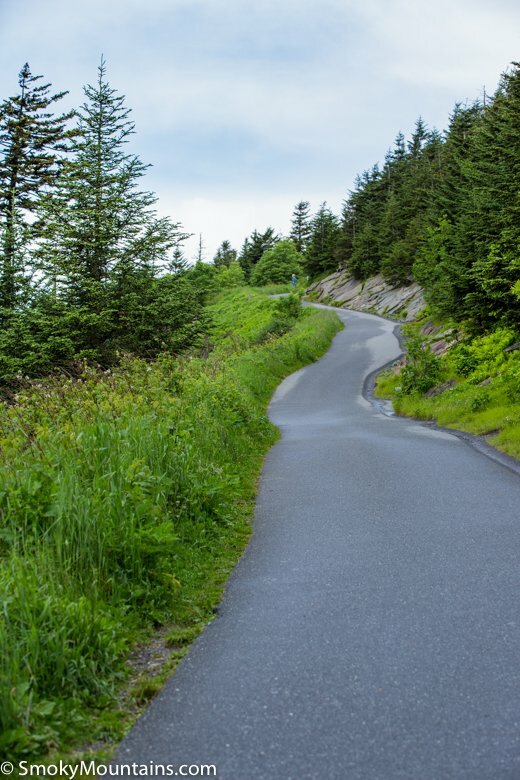 However, the steep gradient combined with the high altitude may make the hike too strenuous for the elderly or those out of shape. 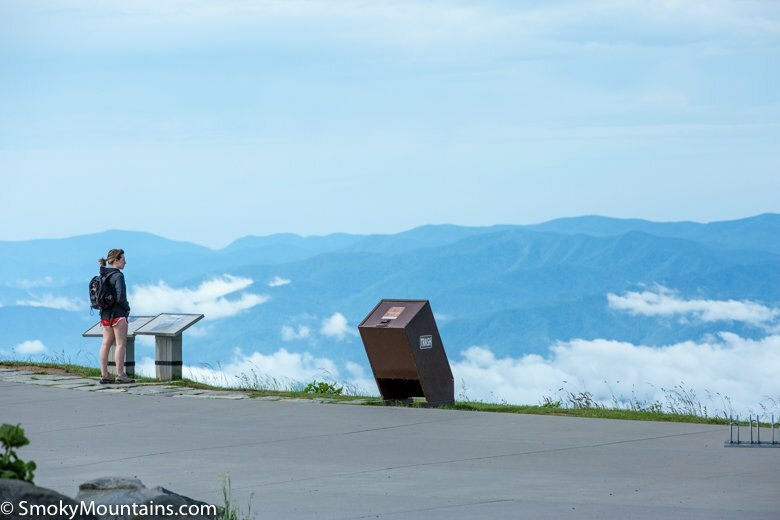 At the summit, hikers are greeted with incredible views of the Smoky Mountains National Park below them. 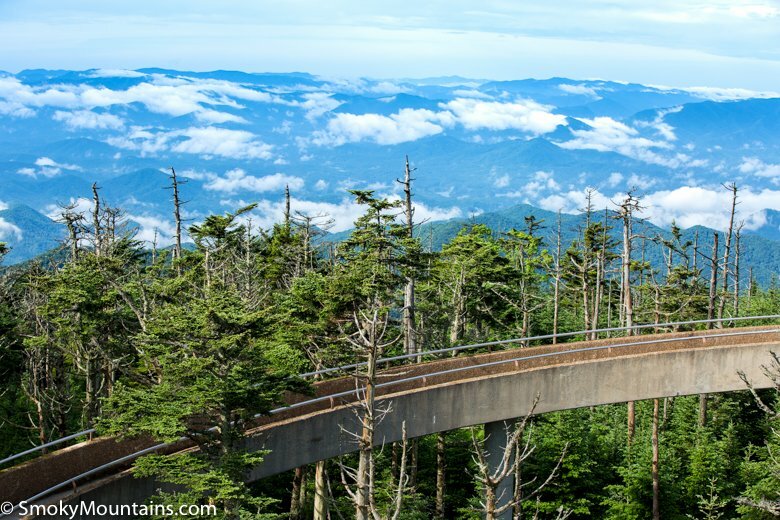 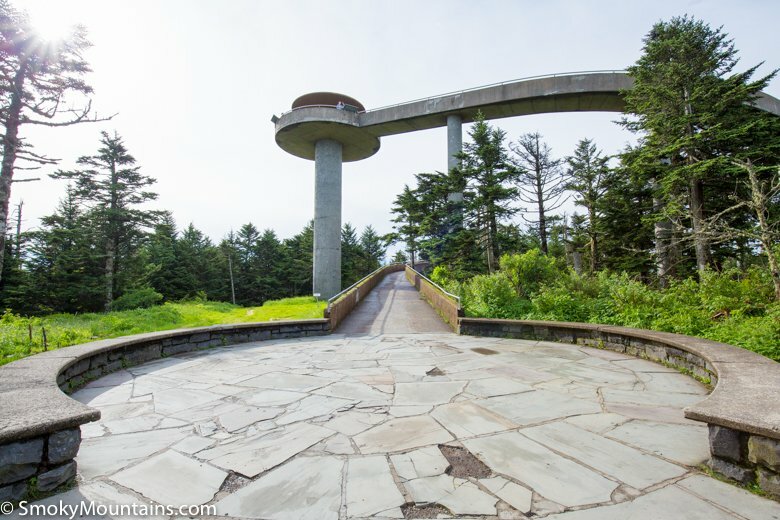 At 6,643 feet, Clingmans Dome boasts the highest point in the Great Smoky Mountains National Park. 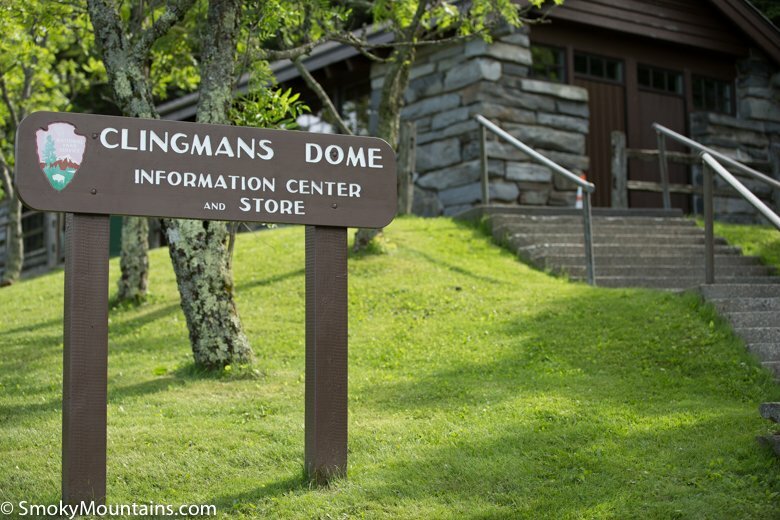 The “Dome” refers to the mountaintop, not the man-made observation tower. 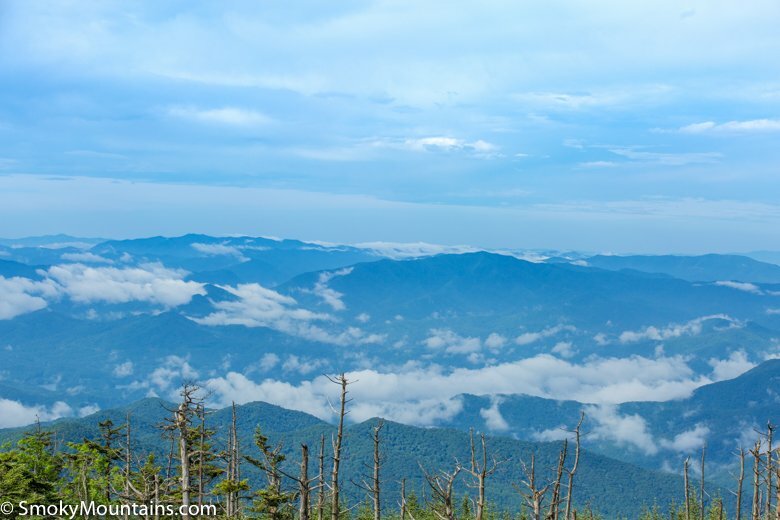 The Dome actually lies within both Tennessee and North Carolina and is the highest point in Tennessee. 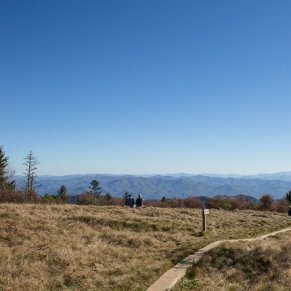 On clear days, visitors may see as far as 100 miles. 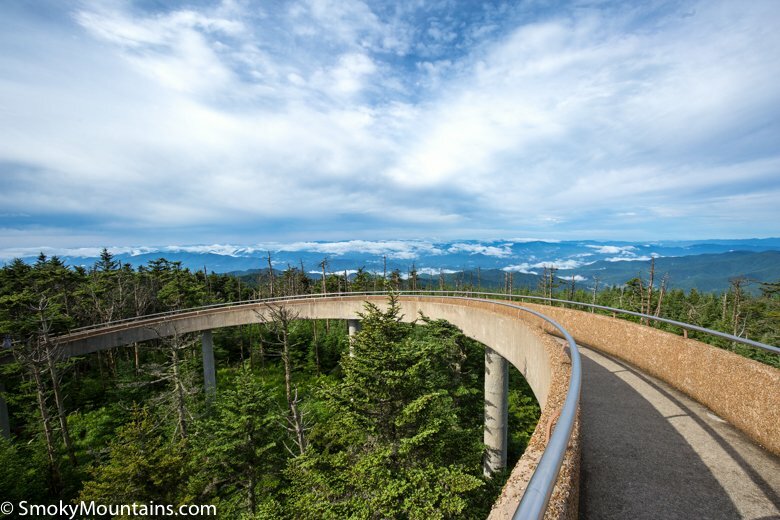 Clingmans Dome, open year-round, can be reached by traveling Clingmans Dome Road, which closes December 1 through March 31 and when conditions become unfavorable due to ice and snow. 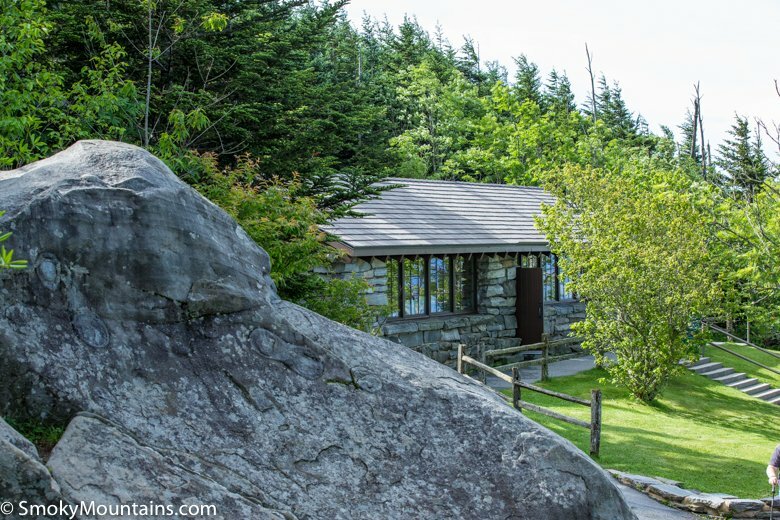 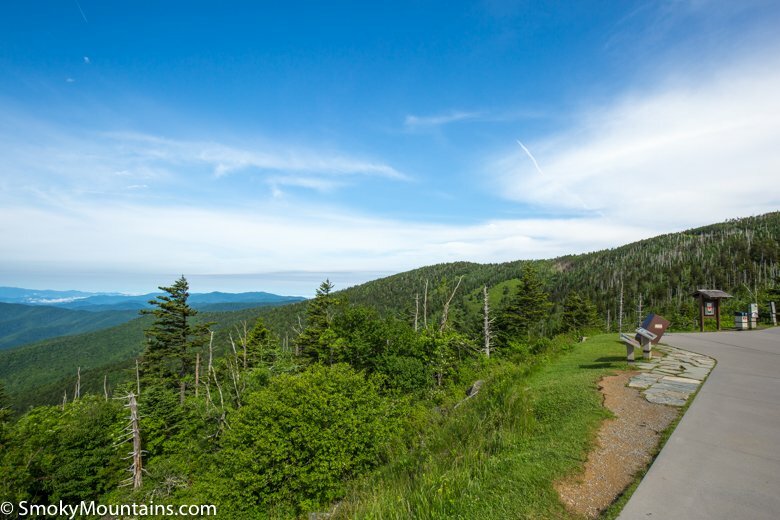 At the end of Clingmans Dome Road is the parking area, a visitor’s center and the trailhead to the summit. 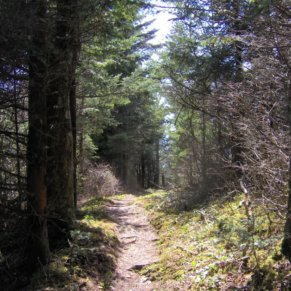 The trail to the reach the park’s highest point is paved and only measures one-half mile. 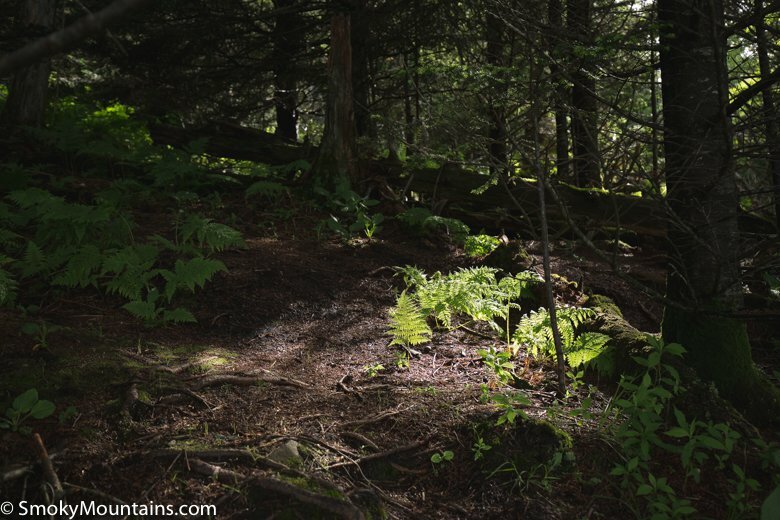 However, the trail can be moderate to difficult because of its steep incline. 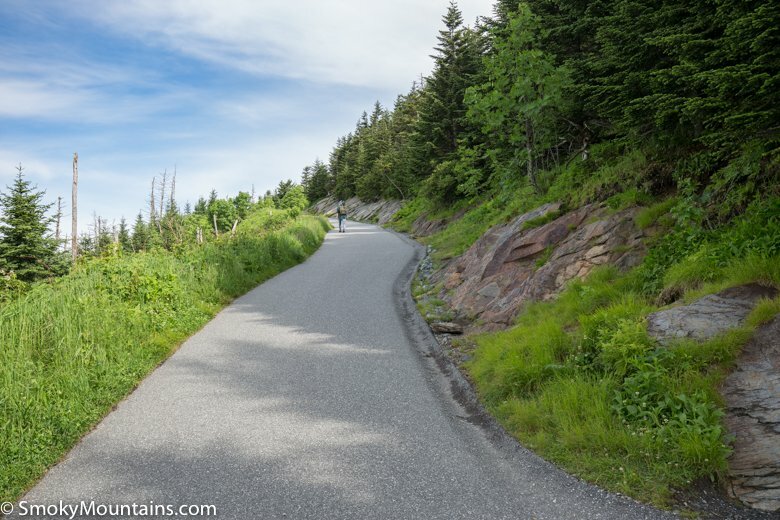 The half-mile trail to the summit of Clingmans Dome is paved, but very steep. 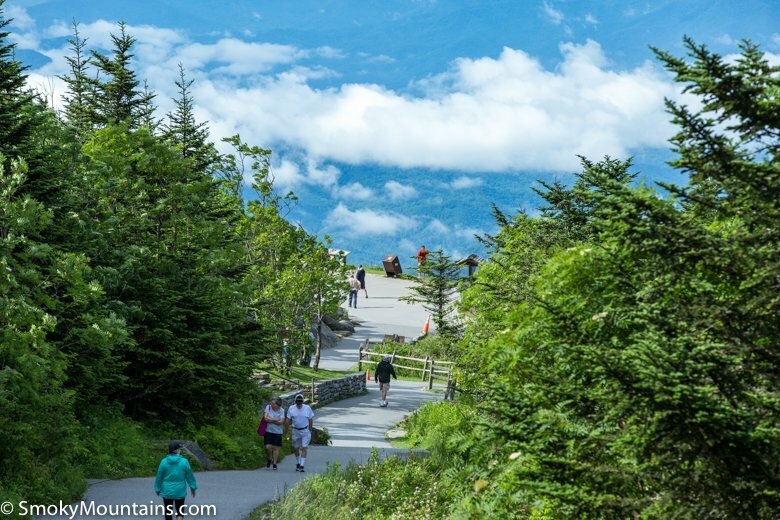 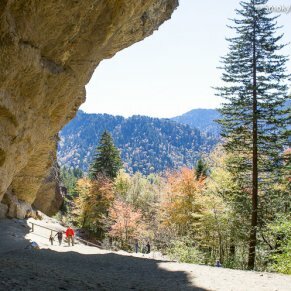 During the short hike, you will gain 332 feet, which makes the climb gradient almost 13%! 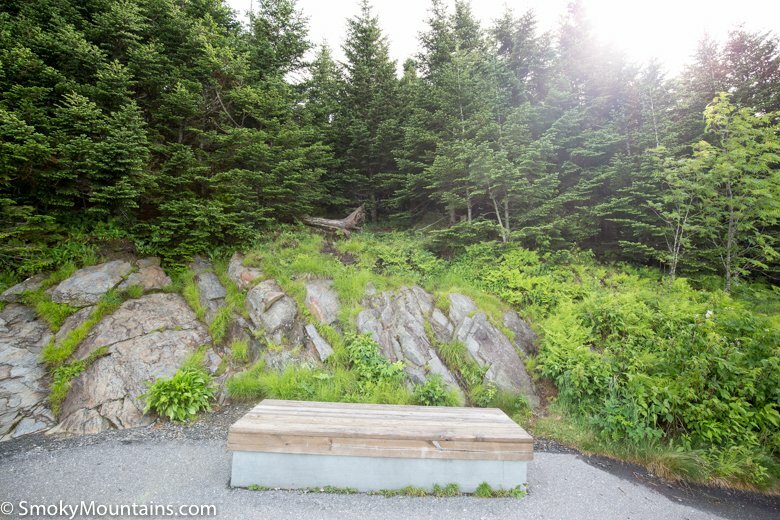 The Clingmans Dome hike does feature several benches along the way if you need to catch your breath during the ascent. 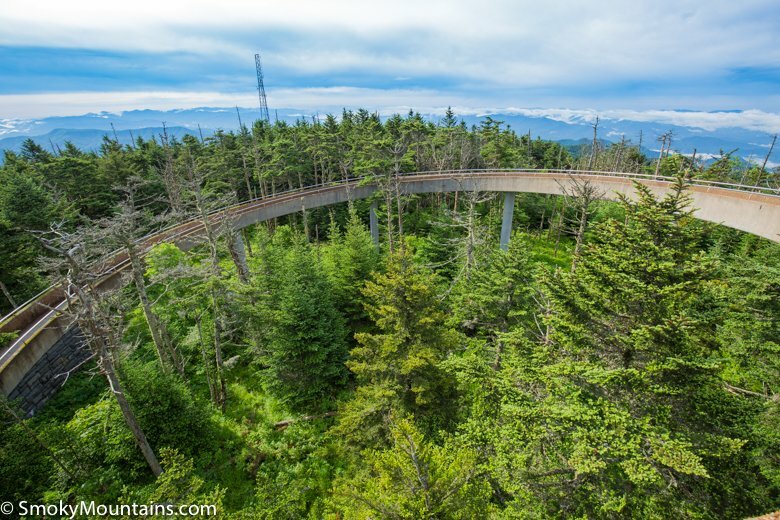 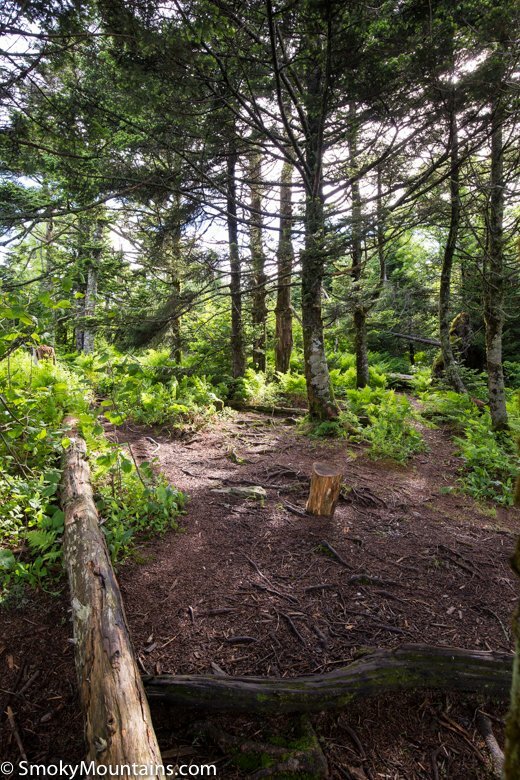 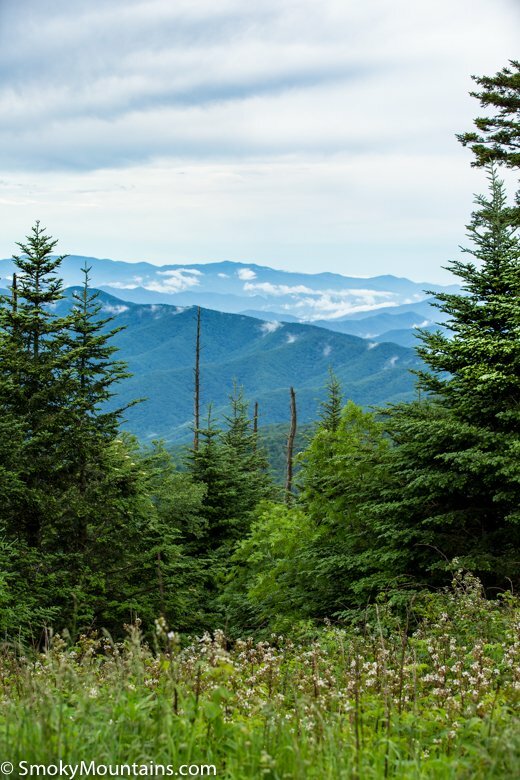 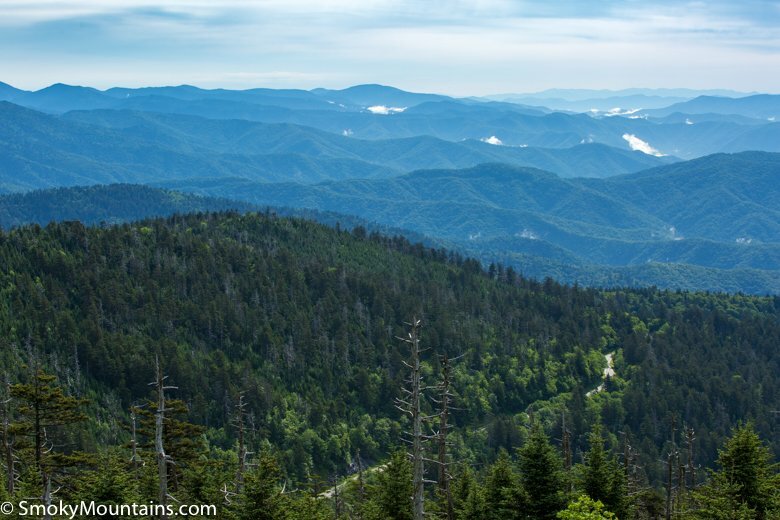 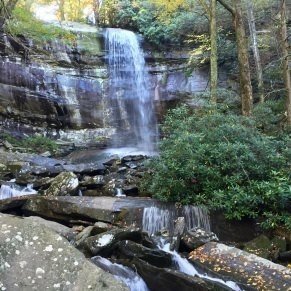 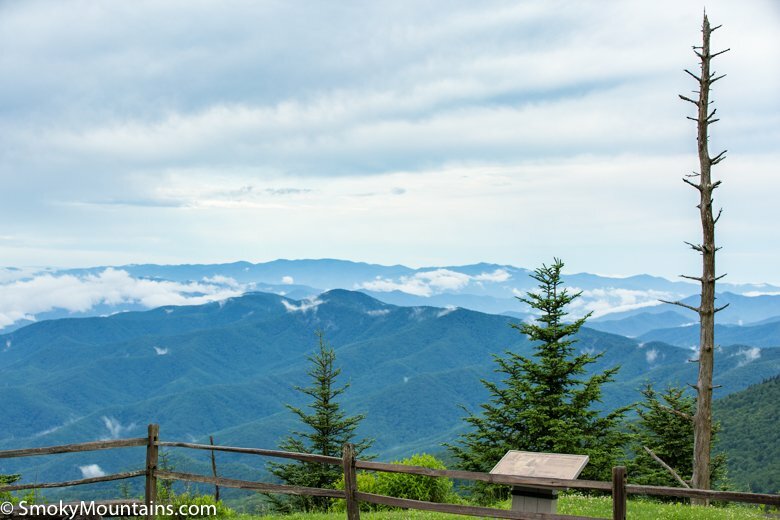 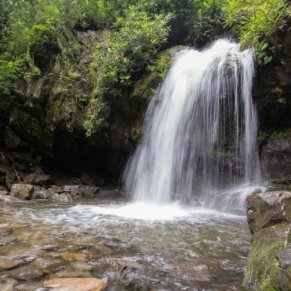 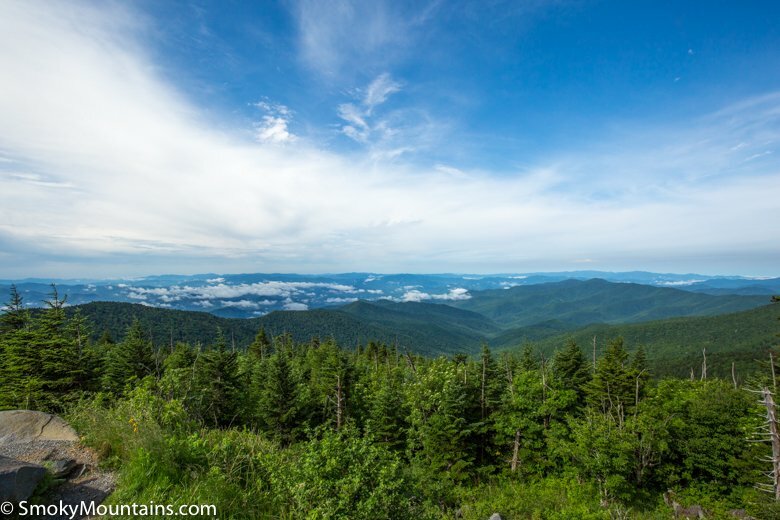 The trail to Clingmans Dome intersects with several other hiking trails including the Appalachian Trail, the Forney Creek Trail and the Forney Ridge Trail. 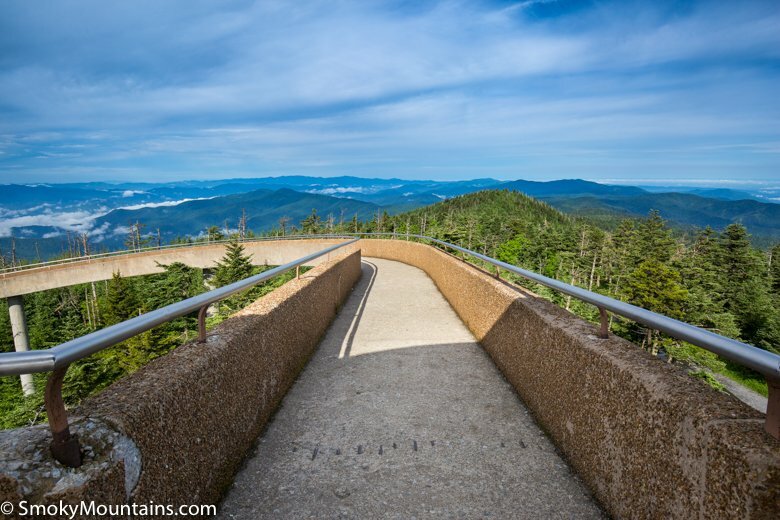 These trails allow you to reach Clingmans Dome without having to travel the Dome Road and use the small Clingmans Dome parking area. 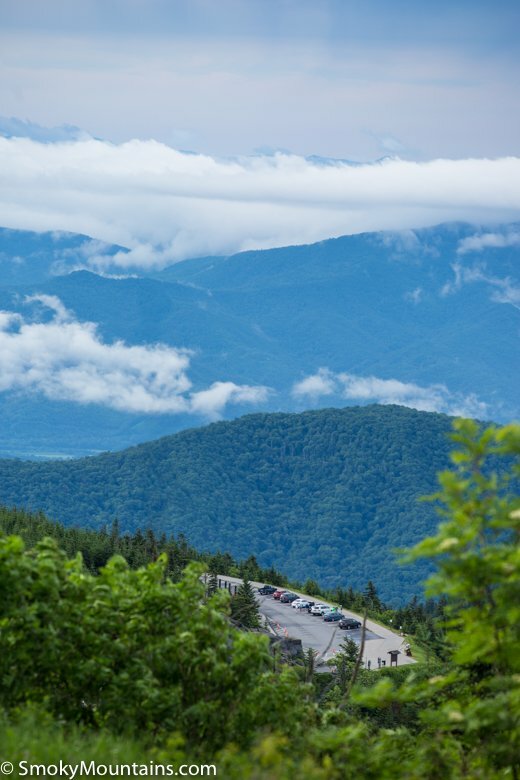 If planning to park in the Clingmans Dome parking lot, consider arriving early, before 8 a.m. as the lot fills up by mid-morning. 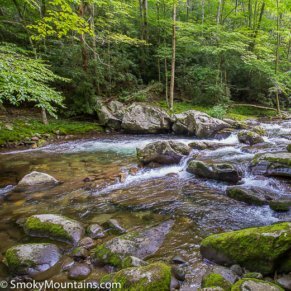 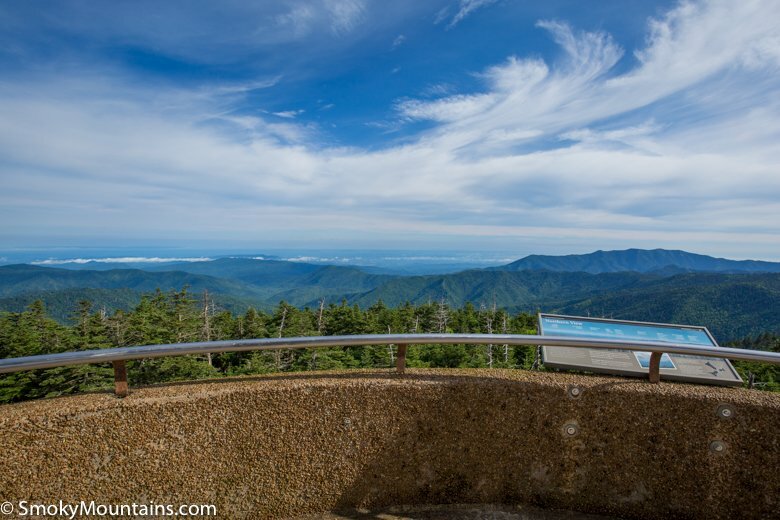 At the summit, enjoy 360-degree views of the Great Smokies. 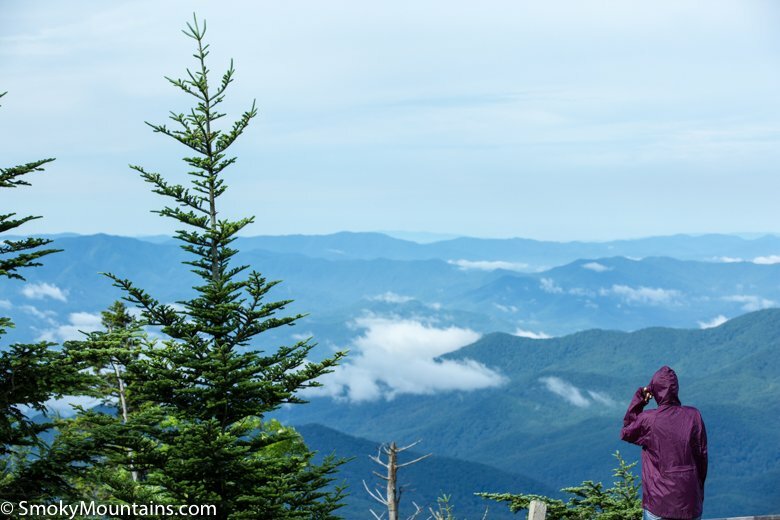 Perched high above the tree line, an observation tower allows for panoramic views and stunning photo opportunities. 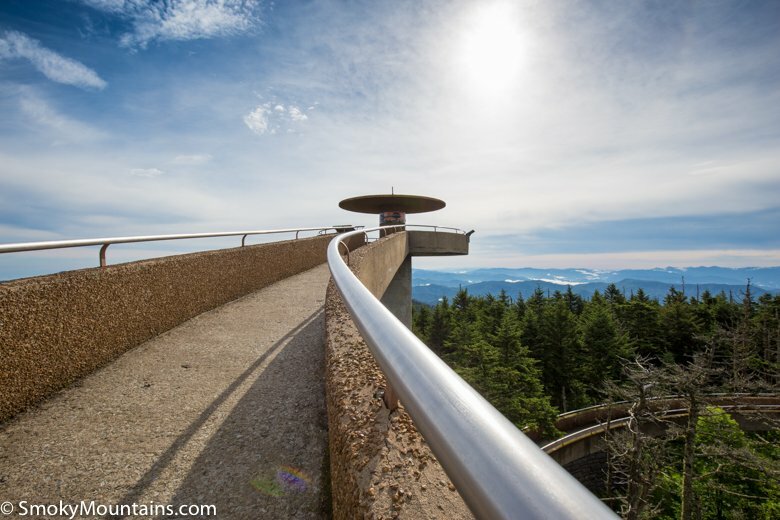 On a clear day, the visibility can provide stunning 100-mile views! 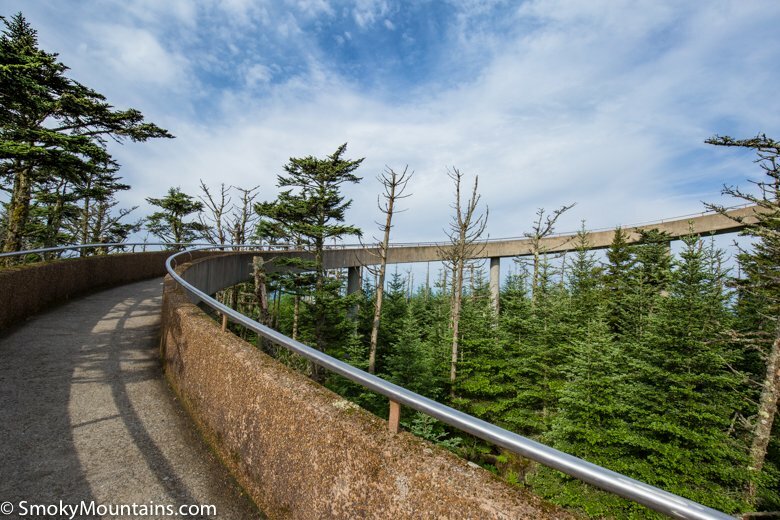 The air at Clingmans Dome is much cooler than at lowland levels, about 20 degrees colder and often it’s a damp cold. 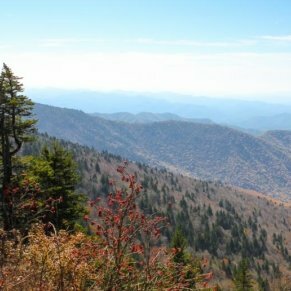 When hiking the trail from the parking lot to the summit, bring a jacket and be prepared for windier conditions the higher you climb. 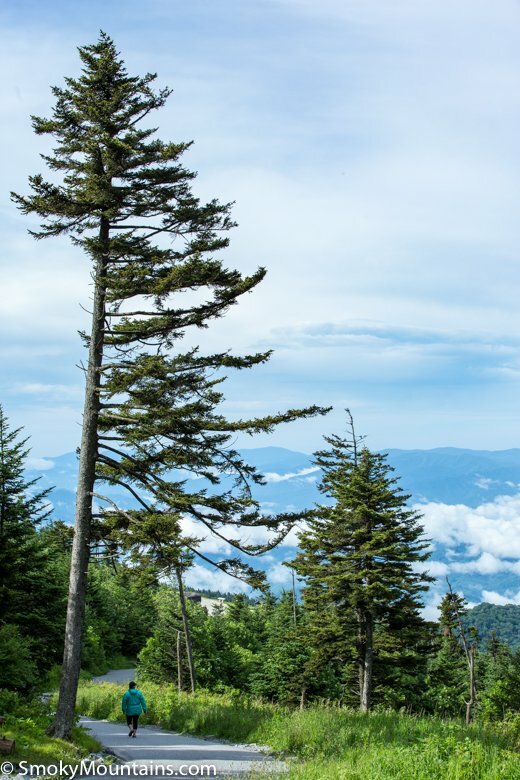 From downtown Gatlinburg, the scenic 23-mile drive to Clingmans Dome will take approximately one hour. 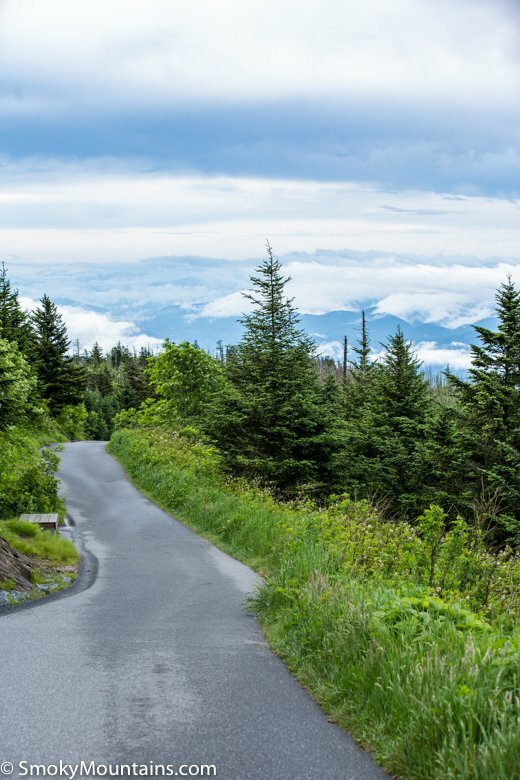 Take the main Parkway out of Gatlinburg towards the Sugarlands Visitor Center. 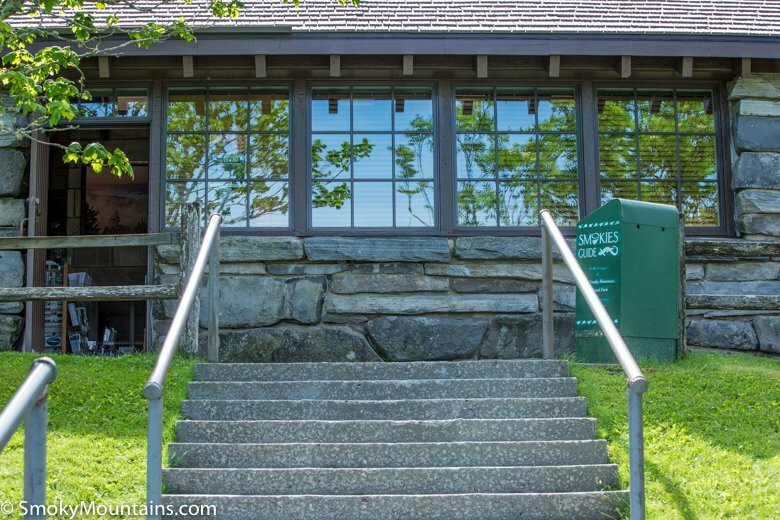 At the Visitor Center, continue straight for another 13 miles. 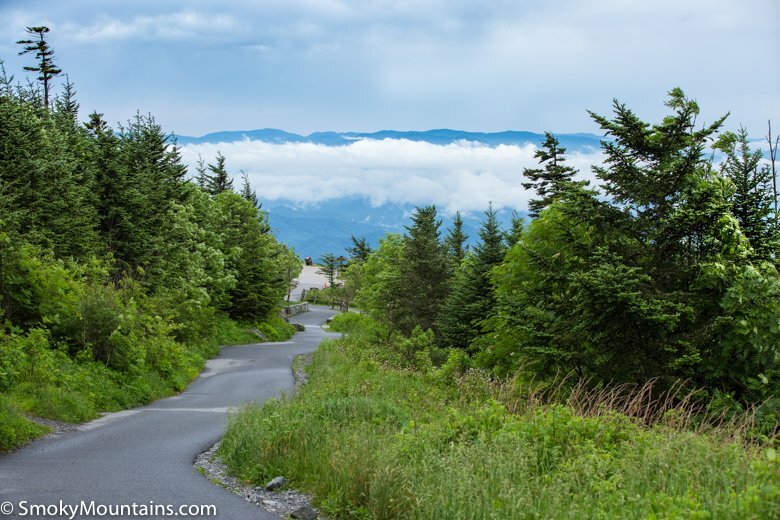 Approximately one-tenth of a mile after Newfound Gap, make a right onto Clingmans Dome Road. 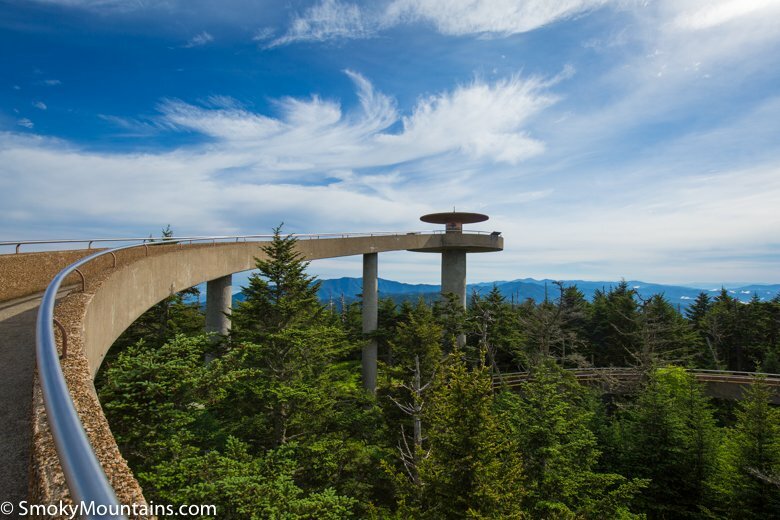 The seven-mile road will dead-end into the Clingmans Dome parking area.